T-Mobile is announcing what it calls an "Unprecedented Deal" for this summer which offers zero down for all of the phones on the network. The carrier is even dropping the price of one of the most popular devices; but when you look closer, the deal isn't exactly as amazing as T-Mobile would have you believe. The solid part of the deal is that over the course of a 24-month Equipment Installment Program (EIP), you can save a bit on certain devices, like the HTC One, which will cost $600 over the EIP rather than $649. Of course, you may already see where the not so great part of this "sale" is happening. While T-Mobile won't be collecting any up front payments for devices, the monthly EIP will be higher, which offsets the value of the deal. For example, the iPhone 5 sells for $145.99 down with 24 monthly payments of $21; but with the new promotion, the iPhone 5 will be zero down and $27 per month for 24 months, meaning you'll end up paying just $1.99 less than if there had been the up front payment. The press release below has a breakdown of the monthly costs of the most popular devices on the network. As we said, some devices will get you more of a discount over the length of the EIP, but most savings won't be more than about $50. 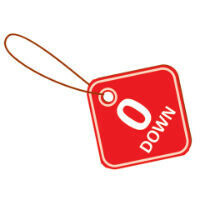 The zero down deal will begin tomorrow, July 27th, through your local T-Mobile retailer, and online. At least they Re not making you pay more over the duration like the others and their deals...still lousy service though. I don't think you read the article at all. If you got an iPhone 5 16GB, instead of paying $145 + $21x24, you pay $0 + $27x24... Your monthly installments are higher, but barely come out cheaper in the course of 24 months. Dude, dont forget to factor in time-value of money. Assuming a risk free rate of interest of 4% the payments are actually 145+21((1-1.04^(-24))/.04)=465.19 VS 0+27((1-1.04^(-24))/.04)=411.67 A net savings of $54 because you are not paying up front. leaving it in the bank will net you less than 1% so that's not really a fair calculation. My money market account earns ~16%. 4 is more than fair. I got excited when I read the title, but when I read you only save $1.99 in the long run, I stopped reading and started laughing. Only T-Mobile. if it was att or verizon you would end up paying more in the long run. No, you are still charged tax on the full price of the phone. I did that last year with the Note 2. Am I the only one that sees tmo is killing me with these shenanigans? I just want to get a phone... I don't mind paying 239for a 2 year agreement but all this extra stuff is just an annoyance... does anyone else feel this way? I kind of agree, some ppl don't mind staying on a 2yr agreement for paying a susidized price. I thought t-mobile should have kept the option of paying a subsidized price and signing into a 2yr agreement, but also adding in their new no contract, pay full price of the phone plan. It would give users more options. You can still get a T-Mobile subsidized 2 year contract phone at a third party retailer. Staples and Best Buy are two that I know of that carry the "classic" plans. or sams club or walmart and target!!! Nope but, the average consumer has sh¡t for brains and can't see the final cost. Still a rip-off!! I swear the average consumer is so dense that they'll walk right into T-Mobile and swear this is a great deal! A Lumia 925 for $480 isn't anywhere near a rip off. You actually save $50 with this deal. Don't see the issue on certain phones. Apple is always a rip off! People complain regardless. If you have money to pu down awesome. If not, this is an awesome deal. You may not save that much money but the value of being able to walk into a store and come out with a phone of your choice with no immediate financial hold up has value in it self. I mean Americans have had credit since the 1930s and have accepted that sometimes you pay more for the privalage of instant gratification with out funds. Its like if you dont have money, dont worry! You can still get the device you want but then will also have to pay eventually. I think its a good deal on T-mobile's part, as the provider of phone them not taking anything upfront shows trust and flexibility. Why would a non contract carrier discount devices below their cost when you could leave the next day with your phone? The idea of $0 down appeals to a lot of people who find it much easier to cough up an extra $6/month than $150 up front. It's a great begining, any saving is better then No saving( even .50 saving)..not to mention your bill go down vs what other carries is doing at the present moment.